The following board members were elected at the [[2018-AGM|2018 AGM]]. I am a Zimbabwean by birth, and a Capetonian by adoption. I am passionate about harnessing communication technology and media platforms for the advancement of open access to knowledge. Specifically, knowledge that relates to and enhances the understanding of Africa via the Open Movement (and especially Wikipedia). I am personally invested in the arts, film, social history, education, the written and spoken word, and natural heritage. Collectively these passions and experiences have evolved into the position of project manager of WikiAfrica at the Africa Centre. WikiAfrica is a cross-continental collaborative project that aims at encouraging and supporting communities and memory institutions across Africa to actively contribute to Wikipedia and its sister projects. I am also doing my Masters at UCT in African Studies, looking at the impact that source-generated, truthful online content has on an individual and the larger community. I am working on Wiki Loves Monuments, Wiki Indaba 2014 in Johannesburg and Wikimania 2015 in Cape Town. |statement = Linux and embedded systems enthusiast, South African entrepreneur and champion of internet accessibility and the power of information. Co-founder of a successful ISP. I am a Capetonian and have been an editor on the English Wikipedia since 2006. I currently work for the Safety Lab incubated out of the Cape Town Partnership in Cape Town where I am a research associate. Since attending Wikimania 2011 in Haifa, I have become more deeply involved in organising and participating in Wiki-related events on a grass roots level. In late 2011, I attended a number of events organised by Wikimedia UK in London such as the [http://en.wikipedia.org/wiki/Wikipedia:GLAM/BM/Ice_Age_Event_-_October_13,_2011 Ice Age GLAM] project with the British Museum. In early 2012 I organised a series of workshops for Xhosa language academics and translators to increase awareness and promote participation in editing Xhosa language Wikipedia. Xhosa language Wikipedia is a project I would like to continue promoting. I am also interested in Cape Town hosting Wikimania in the future and in cultivating GLAM events and relationships with Libraries, Galleries, Archives and Museums in the Western Cape. I assisted in organising the 2012 Wiki Loves Monuments competition and was the head organiser of the 2013 [http://www.wikilovesmonuments.co.za/ Wiki Loves Monuments] photographic competition. I am currently overseeing the professionalisation of Wikimedia ZA and leading the bid for Cape Town to host [https://meta.wikimedia.org/wiki/Wikimania_2015_bids/Cape_Town Wikimania 2015]. Douglas has been an editor on English language [http://en.wikipedia.org Wikipedia] since 2006. Whilst studying for his masters in Economic Development policy in Beijing, China from 2007 to 2010 he became a very active editor contributing to South African and Chinese topic articles on Wikipedia. He first became involved in organising grassroots activities after attending his first [http://wikimania2011.wikimedia.org/wiki/Main_Page Wikimania in 2011] and participating in a number of events organised by [https://wikimedia.org.uk/ Wikimedia UK] whilst living in London such as the [http://en.wikipedia.org/wiki/Wikipedia:GLAM/BM/Ice_Age_Event_-_October_13,_2011 Ice Age GLAM] project with the British Museum. Once he returned from London he joined the newly formed South African chapter of Wikimedia. In 2012 Douglas helped organised Wikimedia South Africa's first large event, the South African component of [http://www.wikilovesmonuments.co.za/ Wiki Loves Monuments], the largest photographic competition in the world. Since then he as organised the 2013 and 2014 Wiki Loves Monuments competitions, organised a number of edit-a-thons, and the [http://wikimedia.org.za/wiki/Wiki_From_Above_2015 Wiki From Above] photographic competition. Douglas is also involved in the chapter's efforts to promote [https://commons.wikimedia.org/wiki/Freedom_of_Panorama_ZA Freedom of Panorama in South Africa]. In 2018 he was the organising chairperson for [https://wikimania2018.wikimedia.org/wiki/Wikimania Wikimania 2018], the official annual international Wikipedia conference, and was deeply involved in both bringing the event to South Africa for the first time and in organising the event. He is always interested in projects that encourage more people to edit Wikipedia and contribute to [https://commons.wikimedia.org/wiki/Main_Page Wikimedia Commons]. Douglas is also interested in public policy and the role it plays in the free knowledge movement. 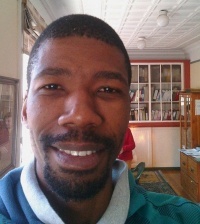 My name is Dumisani Ndubane, I have been a Wikipedian since 2008. I'm involved in the Xitsonga Wikipedia and occasionally in the English Wikipedia. I am involved in the organisation of Wiki Loves Monuments for South Africa. I am an Electrical Engineer by profession. The foregoing has given me the priveledge to work closely with some of the existing board members and ex-board members. I believe that the exposure and experience I have on Wiki projects, combined with my project management skills can be somewhat useful to the Wikimedia-ZA chapter. My passion is in the development of small language Wikis and attraction and retention of Editors in these wikis. I also have interest in GLAM activities within the Archives environment and hope to foster lasting ties between Wikimedia ZA and the National Archives and other heritage bodies. |statement = I'm a chemical engineer with a master's degree in Biochemistry, currently working in R&D for Kraft Foods South Africa. <br><br>With the continued scramble for ownership of information by corporations and individuals, it takes continued effort on the part of ordinary citizens to provide free, open alternatives. This effort need not be onerous, and can be fun and educational, but it is important to involve a large number of people from diverse backgrounds. I am often saddened by the lack of awareness of free software and documentation: lack of awareness of the availability of such sources, as well as lack of awareness of the principles underlying them. I want to work to remedy that in South Africa. I am Maarten, a Belgian expat based in Cape Town. I moved to South Africa at the end of 2011. I have been an editor since 2005, mainly on the Dutch Wikipedia. 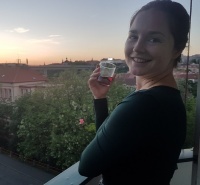 In Belgium and the Netherlands I organised multiple events, including last year's Wiki Loves Monuments competition in Belgium, and during my stay I'm trying to do the same in South Africa. I went to two Wikimania conferences where I was a presenter. Other goals in South Africa are the development of the smaller language wikis. |statement = I'm a Software Developer working for an IT Company in Johannesburg. My interests, besides software design, are Music and helping to make Wikipedia an accessible reality in African languages. |statement = Started editing (with an account) in 2003, when the English Wikipedia was a blank canvas, and articles such as [https://en.wikipedia.org/wiki/Durban Durban], [https://en.wikipedia.org/wiki/Lawrence_Ferlinghetti Lawrence Ferlinghetti] and [https://en.wikipedia.org/wiki/Walter_Sisulu Walter Sisulu] were still waiting to be created. I tend to be [https://en.wikipedia.org/wiki/Wikipedia:WikiGnome WikiGnome]-like in style. I helped set up the Wikimedia ZA Chapter, and was on the first board, and was re-elected to the current board in 2015. I helped co-ordinate the [https://meta.wikimedia.org/wiki/Wikimania_2008/Bids/Cape_Town 2008 Cape Town bid], which was the runner-up (and am very grateful we did not win, as there was far less of a team behind it than this time around). I am also interested in the smaller South African and African-language Wikipedias, and regularly [http://www.greenman.co.za/blog/?tag=wikimedia report on their progress]. Outside of Wikimedia, I have an IT background, am passionate about Free and Open Source Software, and currently work for the [https://www.mariadb.org MariaDB Foundation]. You can read a bit more about me [http://www.greenman.co.za/blog/?page_id=385 on my blog]. |statement =I was introduced to the prospect of participating in establishing a Wikimedia chapter in South Africa by Nhlanhla Mabaso during extensive discussions to establish an online community to continue the work of a children and youth project called “Lets take care of the Planet, initiated by the Brazillian Departments of Education and Environment to create further awareness of activities and initiatives by young people (internationally) with the support of their respective governments, NGO’s and communities focused on environment and culture as a tool for cohesion and change. |statement = Wikimedia is only one of my many fields of activism stretching back to the early 1980s and I suspect the list may grow! Although active in the Cape Town user group since 2013, only in 2018 have I taken the plunge to be on the board. I have just completed my Masters in IT and have come to think that the "writable web" of which wikis are an important part, has great potential as a tool for dealing with humankind's challenges. I am managing partner and founder of Afrastocracy , a consultancy focused on broadbased development through knowledge work, new media and technology. We are a next generation, collaborative consultancy with a global network and varied expertise. I am a visionary pioneer, using a diversity of tools, incorporating both personal and business skills, such as; consulting, management, leadership, research, negotiation, coordination and development qualities, which enables me to network in a cross spectrum of circles and easily identify and merge the right mix of people and concepts effectively. I primarily focus on developing ways of optimizing human-capital and growth potential. I am able to motivate and inspire individuals to realizing their true nature and full potential. Ultimately, I offer over twenty years of experience in strategic planning, project origination and management, logistics, protocol, (political and other) business and people management, marketing, and an established network of bi-lateral business and organizational exchanges within South Africa and Internationally. I presently reside in Johannesburg and am the mother of two sons. 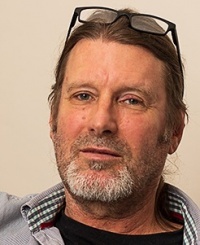 |statement = I'm director and a founding member of the [http://www.ethical.org.za/ Ethical Co-op], a co-operative supplying organic and ethical produce around Cape Town and countrywide. Previously (prior to 2005) I was head of IT at [http://www.iol.co.za Independent Online]. I still run my own IT consulting company, although now I'm concentrating fulltime on the Ethical Co-op. I have an open source IT background, working for a startup that tried to sell Linux PC's (in 1997!) and writing the first online grocery store in the country in 1997/98, and I wrote a book on MySQL, the open source database, in 2003. I've got qualifications in English and Philosophy as well as IT. |statement = Raymond is a machine learning specialist with a focus on Natural Language Processing applications of neural networks. He has worked in marketing research, online transaction processing, financial analysis and various technology start-up environments. Raymond is primarily active on Wikidata. We learn the most from self-study, and I'm inspired by experts who've been too impatient to wait x years for a piece of paper, and who learnt for themselves, not to impress others. I enjoy seeing how Wikimedia challenges those who rely on their credentials to win an argument, and seeing how merit, with patience, can win out. I've been highly passionate about Wikimedia since I first came across it - the dream of everyone being able to access the world's knowledge in their own language had resonated strongly with me since a book I'd read by Ursula Le Guin years before. The English Wikipedia is great, but I'm more excited by the Swahili Wikipedia, and have blogged often about the African language Wikimedia projects. |statement = Started editing in 2010. Been involved with the South African chapter since 2014. Helped organize edit-a-thons and learning desks. I live in Namibia. I'm particularly interested in helping develop the Wikipedias in the various South African languages, and content on local history, literature and humanities, which is in an appalling state. You can read more about me [http://www.greenman.co.za/blog/?page_id=385 on my blog]. |statement =I am a director of the South African non-profit organisation The African Commons Project which org has the mandate to empower local communities through digital technologies. I am committed to open content; knowledge sharing and collaboration knowledge creation. Our organisation, working with global org iCommons, has been involved with Wikipedia since 2007 when we invited Jimmy Wales to come here for the SA Free Culture Tour along with Lawrence Lessig, one of the founders of Creative Commons. Although not an active content contributor to the Wikimedia projects, I am an avid consumer. My experience lies in building and faciilitating partnerships, conducting projects around open content and event coordination and digital documentation. |wikimedian since = October 2008. |active wikis = Currently none. |statement = I am currently a student at the University of Stellenbosch, studying physics. I’ve been involved with the Wikimedia Foundation, mainly participating in community related affairs. At a later stage I also became a Toolserver developer. From the beginning of 2010 I stopped contributing to these projects, both as editor and software developer. I stopped because my other projects take up to much of my time, not because I didn’t like participating in these projects. Currently I am working with my university to incorporate Wikimedia projects in the course curricula. The main idea is to get students to contribute to Wikimedia projects both as part as their course and to motivate them to also do so in their free time. I am additionally working on a project to motivate students to be innovative and develop patentable technologies. I am also a part-time researcher for our physics department. My research focuses mainly on propulsion and positioning methods for satellites. Additionally I focus on electrospray techniques and the nanotechnology which could be developed from them. In my free time I do science related projects, such as competing in the Google X Prize with a European team. This page has been accessed 301,600 times.